Located on the grounds of what was once the largest train yard in Southwest Michigan, the New Buffalo Railroad Museum is home to exhibits and collections recalling New Buffalo’s proud heritage as a railroad hub for both the Pere Marquette and Chesapeake & Ohio (also known as the Chessie System). The rail line behind the Museum still carries CSX freight trains through the stanchions of one of the original coal towers. Visitors can stroll through the Chessie Box Car and Troop Pullman Sleeper Car. Everyone can operate the hand-crafted model train layout that delights visitors of all ages. 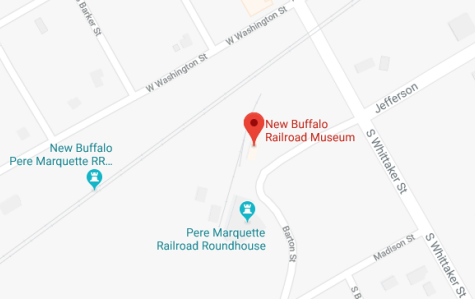 Founded in 1989, the Museum not only exhibits artifacts relating to the rail industry, it houses items of historic interest and value to the greater New Buffalo area. 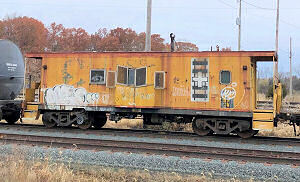 CSX Transportation, an early supporter of the New Buffalo Railroad Museum made the donation of the CO 904126 Caboose in an “as is” condition subject to the Museum’s relocation from Holland, Michigan to the Museum site. In support of this once-in-a-lifetime opportunity for the New Buffalo Railroad Museum, over 50 individuals and business pledged funds to match a Pokagon Fund Challenge Grant for the cost of relocation and incorporating it into the Museums permanent collection. Although we have raised sufficient funds to move the caboose and begin restoration, your donation will help see this ambitious project through to completion. New Buffalo History Books Make Great Gifts! 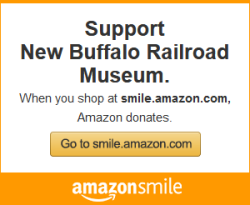 The New Buffalo Railroad Museum is a donation based 501C3 non-profit organization.